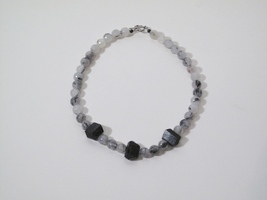 Beautiful faceted Rutillated Quartz stones and raw Black Tourmaline stones in this funky necklace. Sterling Silver toggle clasp. 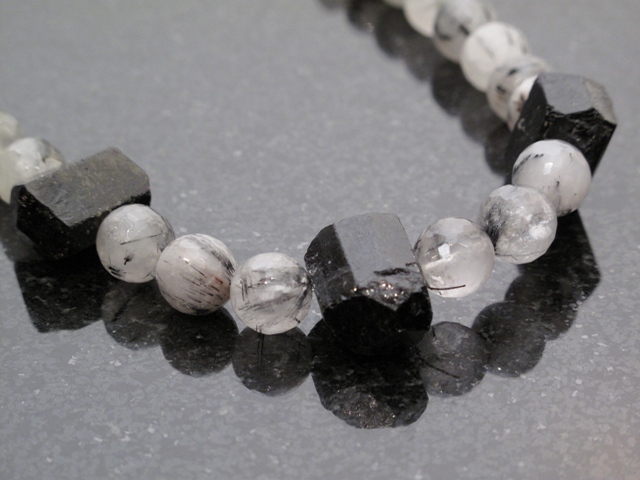 Necklace measures 17.5" L Rutillated Quartz is a mineral that forms needle-like inclusions in a quartz stone. 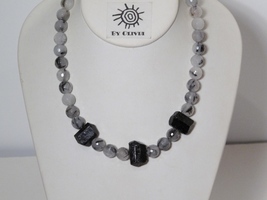 Helps you get to the root of the problem, eliminate interference, dispel the negative and stabilize the positive energy Each item is hand-made and may differ slightly from the photograph. Contact me for custom order info - this necklace can be made in a number of different stones or in gold instead of silver. This necklace has matching earrings.